Welcome to the new home of DI’s work on humanitarian financing. We’ve moved our work from globalhumanitarianassistance.org to devinit.org/humanitarian. It’s the same work, just in a new place. It is exactly three weeks since Typhoon Haiyan struck the Philippines, causing widespread destruction and affecting over 13 million people. The National Disaster Risk Reduction Management Council, currently report the number of fatalities at 5,235 with a further 1,613 people listed as missing. Total reported funding to the emergency in the Philippines now stands at US$391 million with total pledges reaching US$267 million. 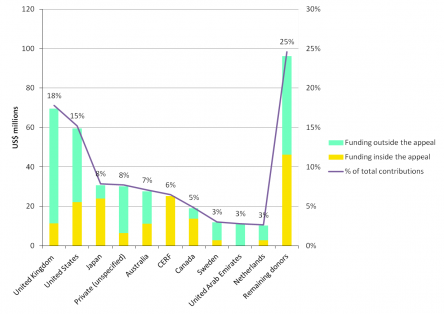 This is an additional US$46 million in contributions from our last blog on Tuesday. 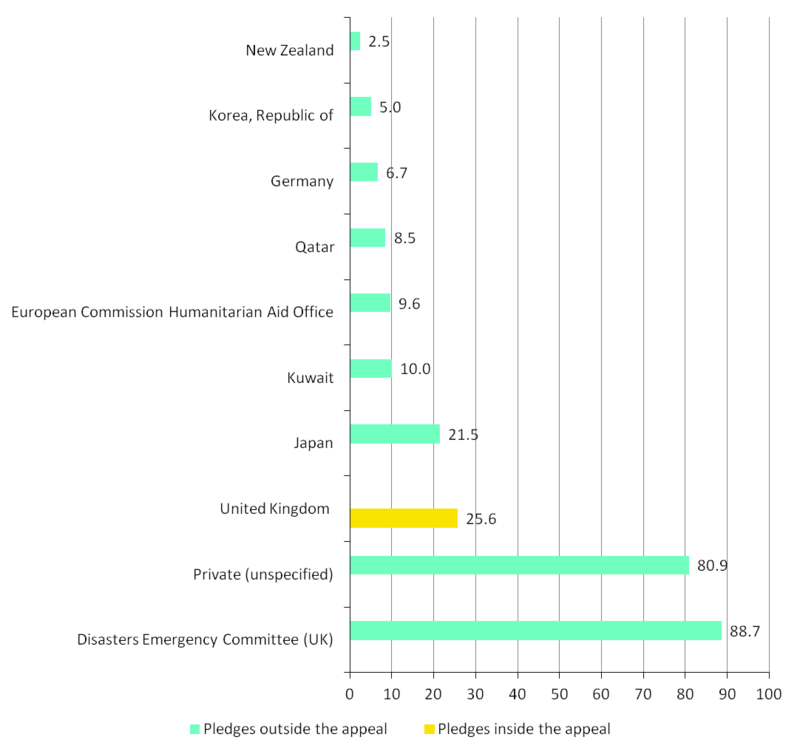 Funding to the UN flash appeal, launched five days after the typhoon struck, has now reached 48% of the US$348 million revised requirements outlined in the appeal. So far 19 government donors have committed funding to projects outlined inside the appeal. Appeal contributions have also been made by the European Commission, UN agencies, as well as, private individuals and organisations. 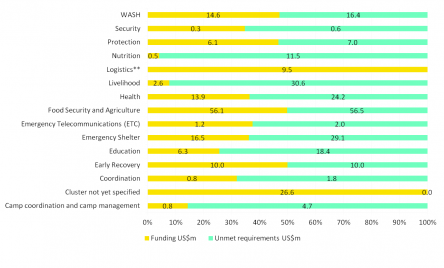 The largest contribution to the appeal remains the central emergency response fund (CERF) (US$25.3 million). 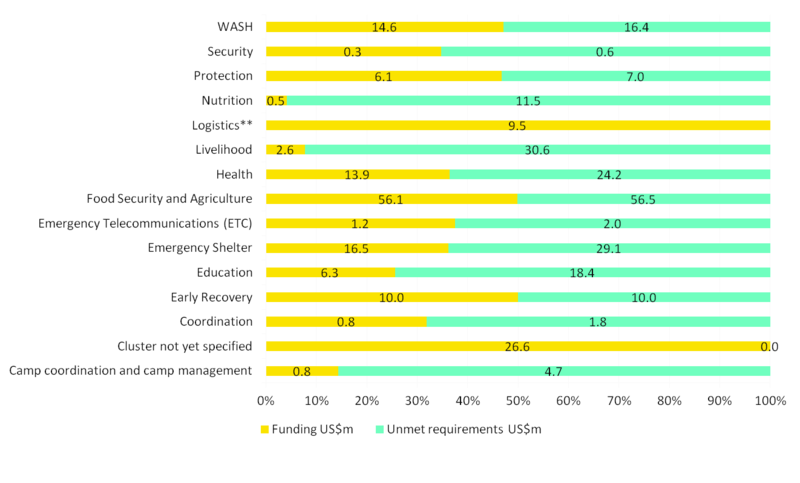 The CERF is supported by a large number of government donors and full commitments and pledges since its establishment in 2006 can be found here. We will be updating this information regularly, so please do check our website for the latest. You can find our previous daily blogs on the Philippine response here. Please let us know of any additional data you require. Further information about funding to the Philippines between 2002 and 2011 is available on our country profile. 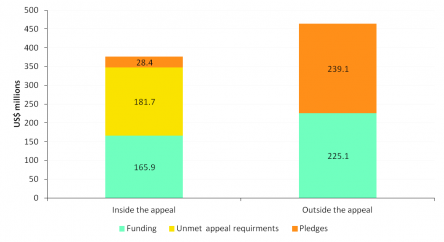 Notes: Pledges are a non-binding announcement of an intended contribution or allocation by the donor. For further information please contact Development Initiatives’ Global Humanitarian Assistance (GHA) programme at GHA@devinit.org. All data is available to download here. [SS1]Can you say if this in inside or outside the appeal?